If your wisdom teeth are causing pain or discomfort, it might be time to remove them. 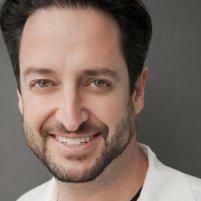 Dr. Jason Mirabile performs wisdom teeth extractions at his practice iHateTheDentist.com in Santa Monica, California, and can help restore the health of your smile. Get relief from pain and improve your oral health with a simple procedure. Contact the office or schedule an appointment online. Everyone has four permanent teeth in the back of their mouth that grow out during puberty called wisdom teeth. However, some people never even develop wisdom teeth. If you didn’t have those teeth removed as a teenager or young adult, you might experience dental problems and pain as an adult. Many dentists recommend having these teeth removed since they can cause a host of oral health problems and they don’t serve any real purpose. If wisdom teeth don’t have enough space to grow at the proper angle or are damaged in any way, they can compromise your bite and even trigger pain. If there is a large space between your wisdom teeth and other teeth, or you develop an infection around any of the teeth, Dr. Mirabile might need to remove the tooth or teeth. Tooth decay, damage to surrounding teeth, and gum disease are some other reasons to have these teeth removed. The process of having wisdom teeth extracted is fairly simple. Dr. Mirabile numbs the area enough to make an incision in the gum tissue. He then exposes the tooth and bone and removes just enough bone to access the root of the tooth. He then divides the tooth into sections and breaks it into pieces for easy removal. He stitches up any incisions and places gauze over the treatment area to help a blood clot form. Is getting wisdom teeth removed painful? The procedure itself is relatively easy to tolerate by most patients and Dr. Mirabile does everything he can to make sure you’re comfortable. After the anesthetic wears off, you might feel some discomfort and pain. However, this is easy to manage with over-the-counter painkillers, ice, and rest. How long does it take to recover after getting wisdom teeth removed? You need to refrain from eating and drinking from a straw or the blood clot can become dislodged from the socket. You need the clot to stay in place for as long as possible so the tissue there heals. Dr. Mirabile also provides specific instructions on how to manage pain and swelling, what to eat and drink, and how to manage your activity level after your surgery.